I had to ask this question to a friend and Los Angeles Lakers fan earlier today. Based on what was said about Clarkson the day he was traded to the Cleveland Cavaliers, I found myself setting low expectations. However, in just six games with his new team, he’s quickly become one of Cleveland’s most consistent players. Sure, there’s still plenty of time for things to change. That said, in watching him average 14.2 points off the bench, it’s hard not to see Clarkson as an incredibly underrated pick-up for the Cavs. Outside of last Thursday’s loss to the Washington Wizards, Clarkson has provided no less than 14 points in every game as a Cavalier. He’s shot less than 50% in only two of his six games with the team. For a Cleveland club which badly needed consistent bench scoring, Clarkson has been a breath of fresh air. He’s also providing some much-needed swagger for a Cleveland club which spent the previous few months looking miserable on a nightly basis. For all intents and purposes, Clarkson has been a great addition to the Cavs. So why did so many discount the move to trade for him? Remember, when the initial deal was done, Cleveland’s priority target from the Lakers was Larry Nance Jr. Per some reports, L.A. told the Cavs they had to add Clarkson to the deal in order for it to go through. The Lakers were trying to clear cap space, and wanted his contract off the books. Now, sure, if you’re looking for red flags, having to pay Clarkson $25.9 million over the next two years is tough for ownership to swallow. Still, this is hardly the most egregious contract on the roster (see: Thompson, Tristan). On top of this, some may see helping the Lakers clear their books as potentially assisting them in their attempt to lure LeBron James to Southern California this summer. For all we know, taking on Clarkson could make the Lakers’ attempt to steal the Cavs superstar even easier. As noted in some of the post-trade analysis, though, nothing is going to stop James from heading to Los Angeles if that’s truly where he wants to go. Refusing to add Clarkson to the Nance deal wouldn’t have changed any bit of this. Outside of these minor issues, we really haven’t seen any reason for Clarkson to be viewed as a deadline-day also-ran. And yet, this is how more than a few pundits labeled him. Zach Lowe of ESPN was particularly harsh on him, calling Clarkson a “chucker” who won’t solve any of the Cavs’ problems and will only hurt them on defense. Six games is far too small of a sample size to officially say Lowe swung and missed with this evaluation. At the same time, what problems is Clarkson not solving for Cleveland? Even if we set defense aside, the Cavs were in dire need of youth, consistent scoring and athleticism, along with any form of positive energy for the locker room they could find. In his short time with the team, Clarkson has been providing all of this. 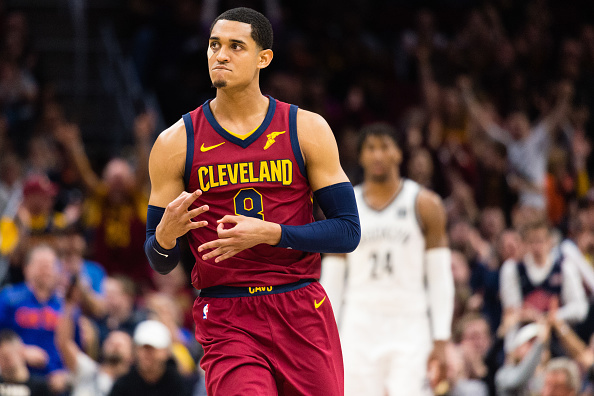 As can be said for the other new pieces Cleveland acquired, we won’t be able to get a full read on Clarkson until we see how he performs come the postseason. His regular season numbers have been impressive, but having zero playoff experience makes it impossible to gauge his ability to replicate this once April rolls around. Still, we were told by more than a few to view Clarkson as just a player Cleveland had to accept to get Nance (and rid itself of Isaiah Thomas). So far, he’s been exceeding those expectations. For the record, in response to being asked if there was anything not to like about Clarkson, my friend from before was pretty blunt.